Nokia 108 Flash File is the latest software that helps Nokia 108 users to flash their phone device without any issue. This flash file has English, Hindi, and other languages. If you forgot your phone security code or your phone is dead, then you can easily reset security code and hanged logo problem with flashing. Download Nokia 08 flash file and flash your phone device within seconds. If you want to flash your Nokia phone without box, then download and install Nokia Flash tool on your PC Windows. The Nokia Flash tool allows you to flash Nokia phones without box. You don’t need any box to flash a phone. Just download and install it on your PC and connect your phone to this tool through VIA USB cable and select flash file for your selected phone and start flashing. Download the Nokia 108 flash file at the given link. Download the USB phone driver. Now open the Nokia Flash Tool on your PC. Select your phone model on that Flash Tool. Select Mode, Manual Flash, Full Flash or Safe Flash. Click on the "Flash" button before connect your Phone. Then, connect your phone to your PC with USB Cable. Flash will start automatically. Wait for just a few minutes. After displaying a perfect logo remove the USB cable. Done turn on your mobile and enjoy. Before flashing please take backup of your data. Because after flashing you will lose you're all of the data and your mobile will be restored in its original settings. After the flashing process is complete you can restore your phone data. 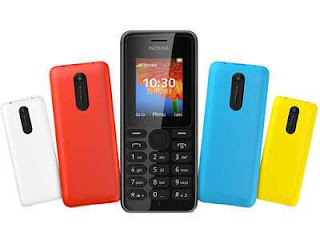 Now you can fix your phone device software issues and errors of your phone with this Nokia 108 Rm-944 firmware file. This firmware file will also fix your phones Hanging problem and display a blank problem. If you want to flash your phone, Then free download Nokia 108 Flash file at the given link.